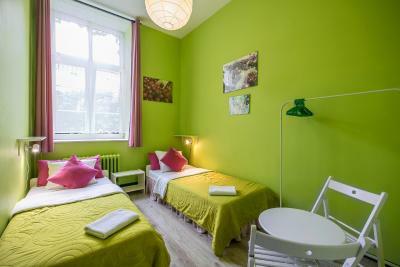 Lock in a great price for The Secret Garden Hostel – rated 9.1 by recent guests! Clean cozy colourful creative room😊 It was beyond my expectations! Great standard for hostel. Very helpful&kind front desk ladies! Good amenties, hot water and good size shower. Comfortable bed. Worth the rate. I was blown away by this hostel. I had a private room with a shared bathroom. Overall, this place is a really good value for the money. 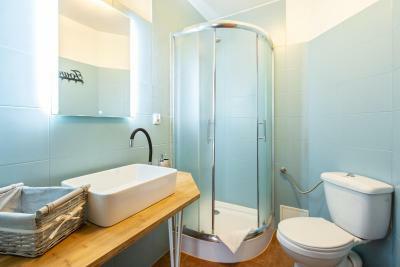 The bathrooms were always spotless, which is so important in cases in which they are "shared." I will stay here again! Very good position, friendly staff, and very clean! Really clean and spacious room - we stayed in a private double room with bathroom and it was excellent. The staffs are very nice and the atmosphere is good. 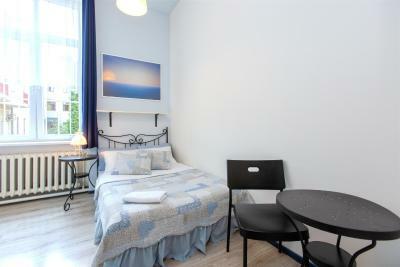 Very clean rooms, newly furnished, appeared very recently remodeled with a great location and pleasant staff. Nice outdoor terrace up front. Excellent value for the money. 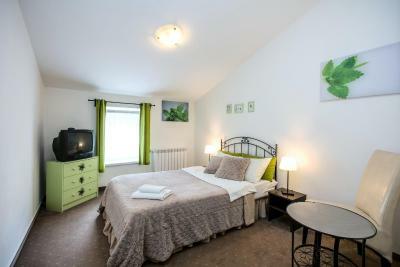 Well furnished, very tastefully decorated and spotlessly clean! My room was huge and had a lovely balcony with view over gardens and a bathroom all to myself. Good location - take a moment to figure out the trams (very cheap) and you can be in the old town in about 10 mins - but spend some time exploring the Jewish quarter on your doorstep. Breakfast is cheap and cheerful and perfectly adequate. In short, this is probably one of the best 'hostels' I have ever stayed in - more like a hotel or posh apartment. As Arnie, says 'I'll be back!'. The location was very good, in the Jewish quarter. 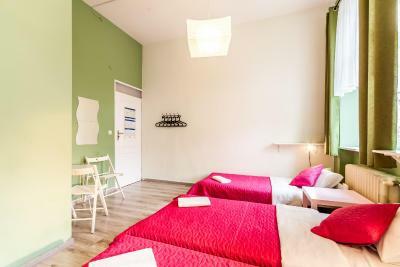 The Secret Garden Hostel is located in Kraków’s Kazimierz district, 650 feet from Wolnica Square. 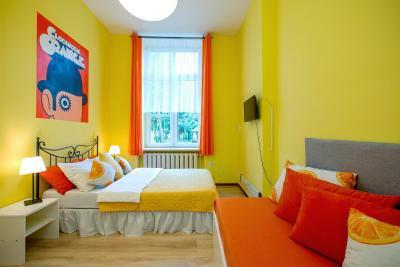 It offers budget rooms and spacious apartments. Free Wi-Fi is available in all the hostel’s buildings. The Secret Garden is only 950 feet from promenade on the Vistula riverbank. The New Square is 2,150 feet away. The former seat of Polish kings, the Wawel Castle, is 0.6 mi away. In addition, this historical district houses various restaurants, bars and pubs. The Main Market Square is 1 mi away from the Secret Garden. 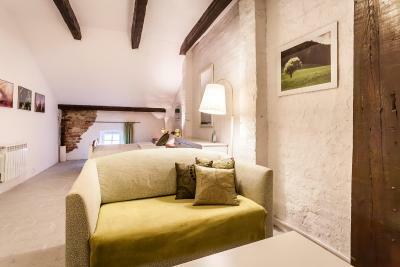 Guests can prepare their own meals in the communal kitchen, which offers a dining area. A breakfast buffet is served here in the mornings. The communal TV room has a DVD player. 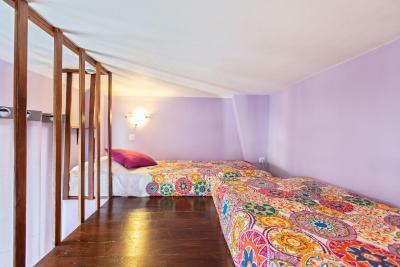 When would you like to stay at The Secret Garden Hostel? 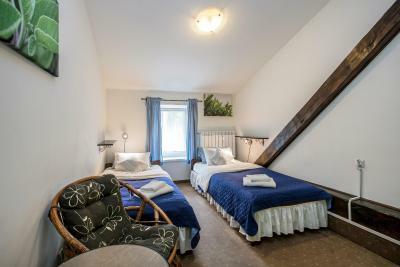 A simple room with free Wi-Fi. 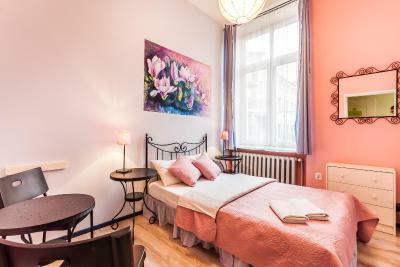 Apartment located at Skawinska Street, a short walk from the hostel. It features Wi-Fi, kitchen and a parking place, as well as a living room with a TV. Breakfast is served for an additional fee in the hostel. 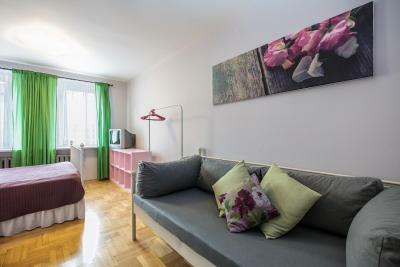 Apartment is located at Św. Jozefa 6 Street, which is about a 10-minute walk from the hostel. 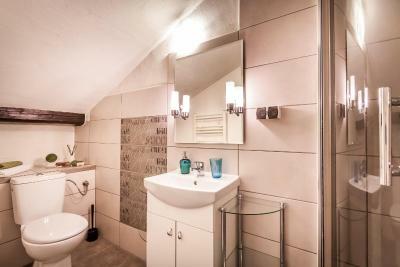 It features a kitchen, bathroom and two bedrooms. It also has Wi-Fi and a terrace. 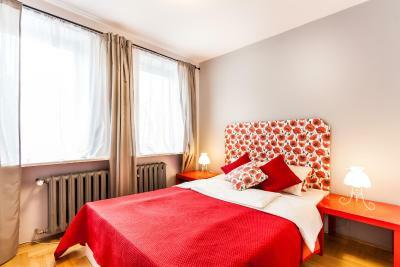 The duplex apartment is located a 3-minute walk from the hostel. It is located on the 5th floor in a building with a elevator. 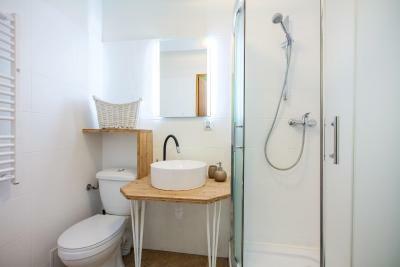 Includes 1 room, a kitchenette and a private bathroom. 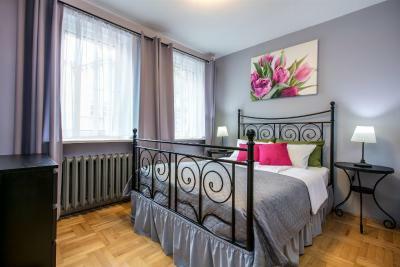 Studio apartment located at Wietora 8 Street, 5 minutes from the main building with the front desk. 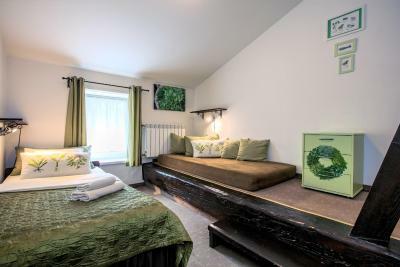 House Rules The Secret Garden Hostel takes special requests – add in the next step! 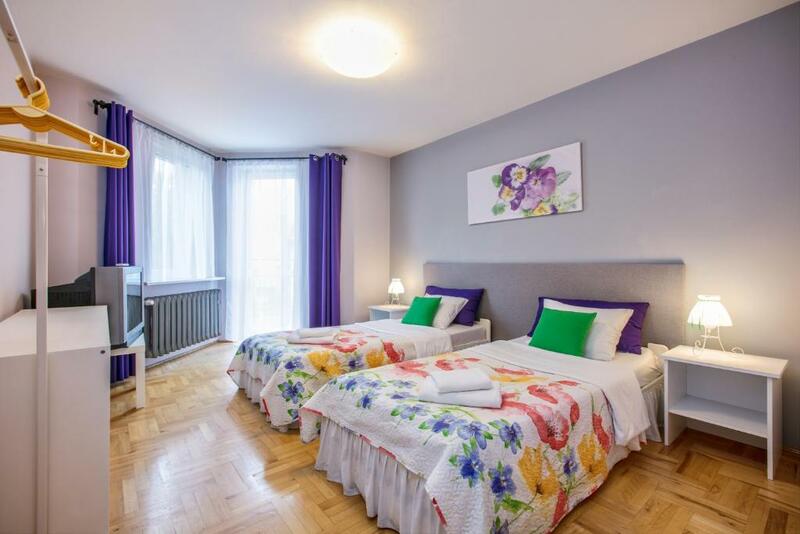 All children under 6 years are charged PLN 45 per night for extra beds. 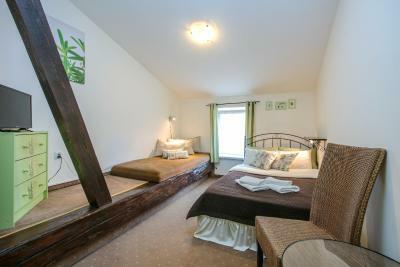 Any additional older children or adults are charged PLN 55 per night for extra beds. Debit card The Secret Garden Hostel accepts these cards and reserves the right to temporarily hold an amount prior to arrival. The Secret Garden Hostel accepts these cards and reserves the right to temporarily hold an amount prior to arrival. Please note that the apartments are located at different locations from the hostel's main building. Additional baby gear, such as a bath and bed linen, can be provided at surcharge. 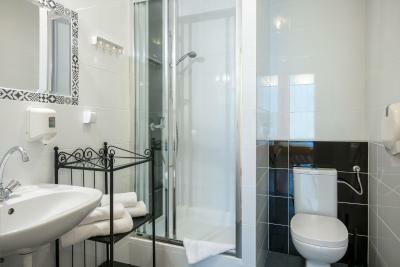 Please note that cleaning and towel change during a stay is possible at extra charge. 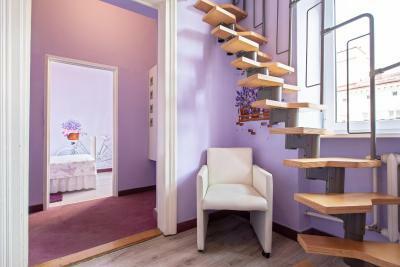 Please note that check-in and key collection take place at: Skawinska 7, Kraków 31-066. Room and bathroom very clean. Comfortable bed, Good breakfast, Staff friendly and helpful. Definitely recommended. Loud family was knocking on my door early morning for no reason. They woke me up every day. It is not the fault of the property. Breakfast is ok, but with so many inexpensive options nearby, it would only be an option if you were in a hurry. Nice and quiet place, with more hotel than hostel atmosphere. Attentive and helpful staff. 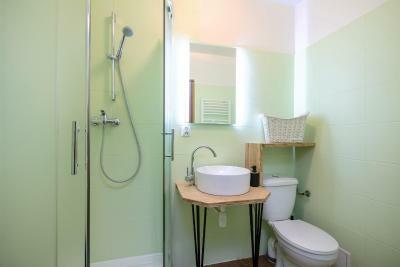 Stayed in private room with shared bathroom, both spacious, clean and tidy. Excellent value for money. The staff was very helpful and the facilities were excellent! 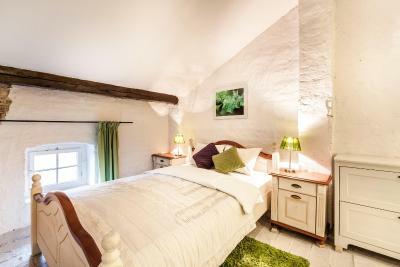 Loved the private double bed room. 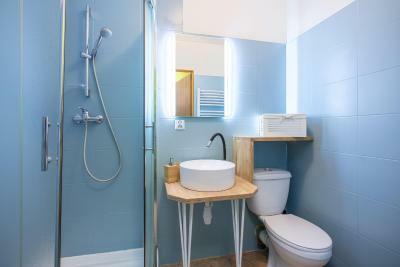 Clean room and clean toilets, I expected shared bathroom to be way worse than this, but almost infront of every room there's a bathroom so it kinda felt private. The staff was really helpful, everything was just excelent. The location was described as Old town, but it is Not. It is located in Kazimierz. 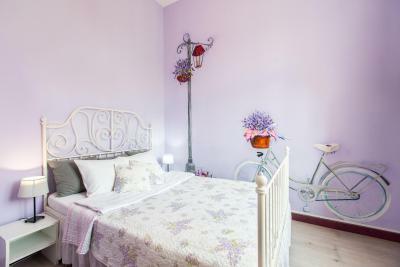 The photos give the idea of super cozy and well decorated rooms but mine was neither. The watery of the shower was constipated, so after 4 minutes under the shower it became quite wet in the bathroom. Loved my room which was definitely bigger than what I thought I was getting. I spent the first 40 mins taking photos and videos of my beautiful room and the hostel decor which was so unique and very creative. The area was perfect for both the Jewish Quarter and Wawel castle. It was quiet at night on the street and in the hostel. No parties or bar. Most visitors are there to see the sights so out from dawn to dusk. A very nice driver was arranged to pick me up from the airport for a reasonable price. The staff are helpful and friendly. The rooms were warm, beds soft. Everything was clean. The breakfast was cheap and nice. The location is good. The place is quiet at night. I would 100 Percent stay here again, and recommend to friends.